Properties in Commodore's Retreat average 4.2 out of 5 stars. Commodore's Retreat 202 - Gulf Front! Seagrove Beach! 30A! Community Pool! Property 1: Commodore's Retreat 202 - Gulf Front! Seagrove Beach! 30A! Community Pool! Beautiful Gulf Front Condo with Amazing Views!! Property 3: Beautiful Gulf Front Condo with Amazing Views!! Property 5: Commodore's Retreat 207 - Gulf Front! Seagrove Beach! 30A! Community Pool! Third Floor End Unit. Great views of Gulf and Eastern Lake! Property 6: Third Floor End Unit. Great views of Gulf and Eastern Lake! Property 8: Commodore's Retreat 206 - Gulf Front! Seagrove Beach! 30A! Community Pool! Second Floor End Unit With Great Views! Property 9: Second Floor End Unit With Great Views! Paradise30A~CR104~ Large Community Pool, 2 Adult Bikes & 1 Beach Chair Set-up Included! Property 10: Paradise30A~CR104~ Large Community Pool, 2 Adult Bikes & 1 Beach Chair Set-up Included! Commodore's Retreat 204 - Gulf Front! Seagrove Beach! 30A! Community Pool! 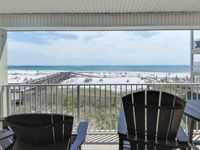 Property 12: Commodore's Retreat 204 - Gulf Front! Seagrove Beach! 30A! Community Pool! Commodore's Retreat 305 - Act fast, for best spring availability. Property 14: Commodore's Retreat 305 - Act fast, for best spring availability. GULF FRONT Penthouse / Seagrove Beach on 30-A! Amazing views of Eastern Lake! Property 15: GULF FRONT Penthouse / Seagrove Beach on 30-A! Amazing views of Eastern Lake! Commodore's Retreat 203 - Act fast, for best spring availability. Property 16: Commodore's Retreat 203 - Act fast, for best spring availability. Awesome Views! Easy direct beach access! Property 17: Awesome Views! Easy direct beach access! Paradise30a~CR403, 1 Beach Chair set included,Renovations will be complete for 2019 Spring Bookings! Property 18: Paradise30a~CR403, 1 Beach Chair set included,Renovations will be complete for 2019 Spring Bookings! Beautiful Gulf Front Condo in Santa Rosa Beach ~ Beachfront Community Pool ~ Great Views! Property 19: Beautiful Gulf Front Condo in Santa Rosa Beach ~ Beachfront Community Pool ~ Great Views! Beautiful! Close to beach and to Eastern Lake! Property 20: Beautiful! Close to beach and to Eastern Lake! Large Loft Style Gulf Front Town Home in Seagrove! Close to Eastern Lake! Property 21: Large Loft Style Gulf Front Town Home in Seagrove! Close to Eastern Lake! Beautiful Gulf-Front unit in Seagrove Beach! 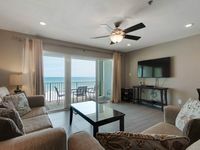 Property 22: Beautiful Gulf-Front unit in Seagrove Beach! We were impressed with the property at first sight!!! Nice appliances and finishes!! We loved everything about the property!! The king size bed and two twin beds were EXTREMELY comfortable!!!! We didn&rsquo;t use the pull out couch so I can&rsquo;t comment on that. All the appliances are new and every finish in the place is updated!! The TVs and internet worked great!! The balcony furniture was very nice as well!! We are breakfast on the balcony every morning and watch the dolphins swim By!!! It is such a perfect location!!! Very cute complex small and very quiet. Very kid friendly.